For years, API’s have been a foundational tool of development, providing a way to leverage software besides the standard user interface. In addition, API’s have served to greatly enhance the number of use cases for a given software asset and provide considerable levels of customization. Since the early 2000s, API’s have moved to the cloud, allowing software to interact with other services and platforms through the Internet. 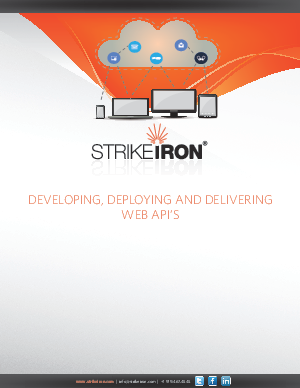 To learn more how API's have been growing at an exponential rate download this whitepaper. Compliments of StrikeIron.